Paying FBA fees can cut into your bottom line, no matter how aggressive you set RepricerExpress to be with your pricing strategies and rules. And with the new Inventory Performance Index (IPI) penalties coming into effect on 1 July 2018, you could be facing even higher fees. 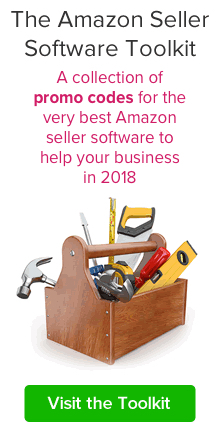 But there are ways to chip away at it, and we’ll show you three methods you can use to lower your Amazon FBA fees. The details are familiar to most, but for those who are new to selling, Amazon instituted a few changes to their storage fees on 1 July of last year. They faced crowding issues at their fulfilment centres and targeted sellers with an IPI score of less than 350, charging them higher fees and preventing them from being able to send new merchandise to local centres. Amazon started conducted monthly inventory cleanups on the 15th of every month, looking for items that have been there longer than 365 days. For those products, their sellers would be charged $6.90 per cubic foot or a long-term storage fee, whichever was greater. As of 15 February 2019, Amazon is now eliminating the long-term storage fees for products that have been in their fulfilment centres between 181 and 365 days; the long-term storage fees in the previous paragraph (365+ days) still apply. For a detailed breakdown, read about it in Amazon Seller Central. But as we said, there are measures you can take to lower FBA fees for yourself, so keep reading. Did you know there are right and not-so-right items to store in a fulfilment centre? That’s because FBA fees are tallied based on the product’s specifications, so sending not-so-right items can hit you harder in the wallet. For starters, avoid storing items that cost less than $15. Storage fees are based on weight and size and not price — if you have a $1 item and $50 item that weigh the same and cost the same to fulfil, the profit margin will be harder to make up on the $1 item. Next, try and limit the number of heavy items you store. You’ll have to pay extra for their added weight, which again can cut into your profit margin. Unless you’re making excellent revenue on those items, it might be an idea to reconsider if it’s worth it to sell them. Lastly, avoid storing really large items. As we mentioned in the opening section, long-term storage fees are calculated by the cubic foot, so big items that take up more space will cost more to keep long-term in a fulfilment centre. Amazon gives you tools to keep track of your items and the fees they incur, they really do. One important one to make use of is your Inventory Performance Dashboard, which can be found in your Seller Central account. The dashboard lets you monitor your inventory activity, plus receive advice and suggestions on how you can streamline things to make better use of your inventory and its management. Stranded Inventory Actions: This is a sort of umbrella term for a number of problems with your listing, and comes with different ways you can fix things so your products are buyable. Restock Recommendations: This piece of advice helps you figure out when it’s time to restock so you can keep a good amount of inventory going and not risk running out. Excess Inventory Suggestions: At the other end of the spectrum is when you start to get too much inventory and risk getting long-term storage fees. If you sell 10 items, you need to pay fulfilment fees on 10 items. But if you bundle those 10 items together as a single unit, then you only pay fees for one item, not 10, because the bundle is considered one item. You’ll have to package the items into one bundle, but that’s pretty easy and cheap to do. Plus, bundles are one of the top promos you can run on Amazon! While you’re saving money on FBA fees with these three strategies, making sure you’re gaining more with your pricing rules. Use RepricerExpress for the best edge in the game by customising rules that fit your needs perfectly. When you sign up now, you get the first 15 days totally free, so start increasing your profit margin right now.